The world is changing faster than ever. As a society, we are in need of future solutions that we can’t even think of today. These solutions can only be created by people who are truly passionate about what they do. It’s very possible that our children will have multiple careers over the course of their working lives, not simply multiple jobs. Many of them will certainly have jobs we haven’t conceived yet. Isn’t it therefore our obligation to encourage them to explore their true talents and their true passions? When the only thing we know about the future is that it will be different, we would all be wise to do the same. We need to think differently about human resources and about how we develop them if we are to face these challenges. We need to embrace the Element. Robinson defines the meeting point between natural apitude and personal passion as the Element. 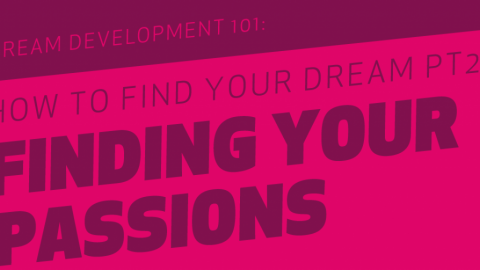 And that’s where this guide for dream development will start. 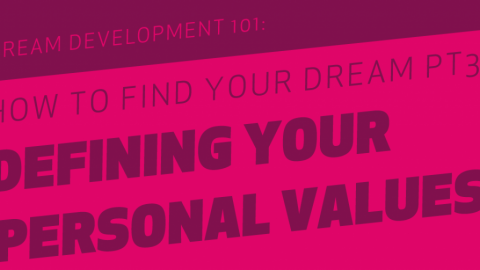 We’ll have a look at how you find your own strengths and passions as a very first step to going for your dreams. Surround yourself with achievers. Stay away from the naysayers. As soon as you speak out your dream, they will come. They will laugh at you and talk you down. Don’t care too much about them, they’re just afraid you could be more successful than them. Go for people who push and motivate you instead. It will raise your chances to succeed tremendously. Dare to dream big. Don’t let anybody tell you that your dream is impossible. Be the one who takes risks having in mind that Nothing is Impossible. If you need proof, head over to our stories section. Start doing. You can’t develop your dreams in theory. Ongoing reflection is helpful for sure, but only by starting to work on your goal, one tiny step after the other, will you have a chance to succeed. You won’t find your purpose in life by sitting on the sofa and watching TV. Do research, experiment and surround yourself with like-minded people. The more you get into it, the clearer your dream will become. Tell people about your dream. The more people know about your dream, the more likely it is somebody will help you on your path. Be it with a contact, an advice or just by sharing experience. Don’t underestimate the power of serendipity. Follow your calling. Your calling. And stop caring about what your parents, your teachers, schools and institutions, the Pope or anybody else tries to tell you. It’s your life so do things that matter to You. There is no one way to find your true purpose in life. Keep your eyes open and stay curious and the world will offer perspectives you can’t even imagine by now. Find mentors. Finding the right mentors is crucial to your success. Look out for people who have experience in the field you will enter and who have the desire to support you. Will it be easy? For sure it won’t. You will face obstacles, rejections and the worst odds. So why leave your comfort zone to go after your dreams? Because discovering your purpose will be the greatest thing you have ever experienced. It will make you a richer and happier person. It will change your perspective on life and the world around you. By doing so, life will offer you endless opportunities. Be sure to embrace them. What do my friends and relatives tell me I’m good at? What do I get asked for a lot by friends, relatives, or colleagues because they know I’m really good at it? Which things do I learn much faster than others? Which things can I do more easily than others? What do friends, family members and colleagues admire me for? If I would need to define my superpower, what would it be? Carefully write down everything that comes to your mind. We suggest you get a good notebook. Now lay it aside and let the questions sink. Reflect on it and you’ll find even more answers. Give yourself time and don’t rush into it. In the next step we’ll have a look at how you find your passions.